I have been working more with Docker and used the Docker images for the Data Virtualization workshop for APAC RHTE. Docker gives us the capability to easily layer and/or link containers for easy to run demos. 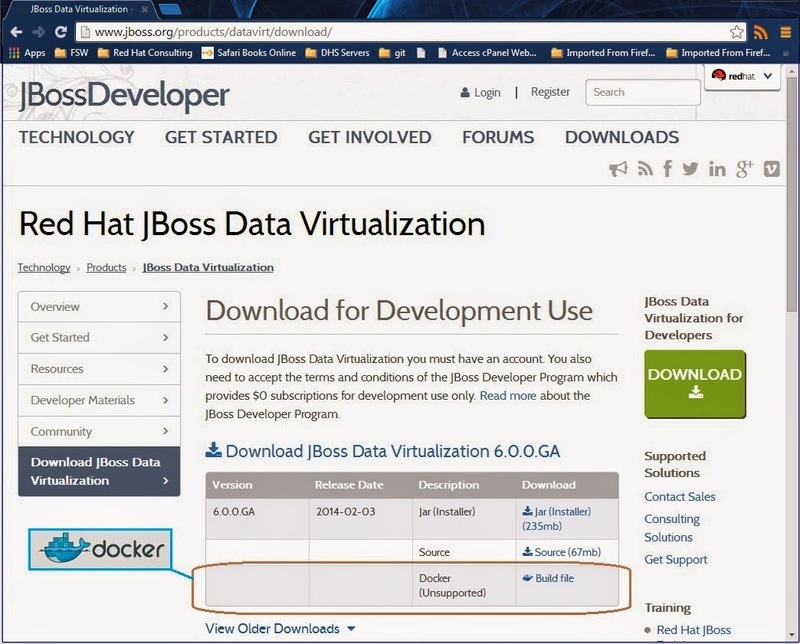 We have added a docker build file for Data Virtualization on jboss.org/products/datavirt/download in the download table. This is not a supported download but gives you an example to start using to become familiar with Docker. Keep watching for future updates on Docker and Data Virtualization.